Taking a lead in the domain, IDFC bank has recently launched Aadhaar Pay, the country’s first Aadhaar-linked cashless merchant solution. 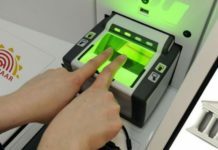 The biometric payment system was successfully launched across 16 States, reported The Economic Times. “IDFC bank had set the trend and all other banks should now roll out a similar facility,” said Amitabh Kant, Chief Executive Officer, NITI Aayog. “You will not need micro-ATMs anymore in the country. Anybody with a mobile phone and small dongle can turn into a merchant for everyone else and start accepting payments,” he said. Kant added that the IDFC Aadhaar Pay is a significant move as it will not charge any merchant discount rate, which was a pain-point for many merchants. “IDFC Bank will have winner’s advantage. Other banks should follow IDFC in on-boarding merchants throughout the country. If they do not follow the lead that IDFC has set, technology will make them redundant,” Kant further said. 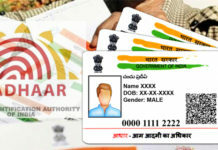 He said the IDFC Aadhaar Pay launch was significant as it would “enable us to reach the bottom of the pyramid” where people do not have either GSM or mobile phone. 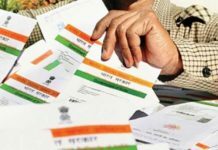 “IDFC Aadhaar Pay is an important milestone in the journey to financial inclusion,” said Rajiv Lall, Founder Managing Director and CEO, IDFC Bank. 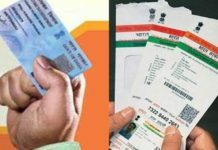 In the next 36 months, IDFC Bank will look to on-board as many as one lakh merchants across the country to its IDFC Aadhaar Pay solution, Lall said. In the pilot phase spanning three months, over 1,500 merchants have enabled digital transactions for customers of all banks, using IDFC Aadhaar Pay on their smart-phones. 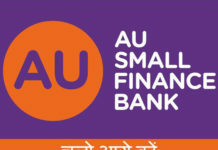 IDFC Aadhaar Pay is an Aadhaar-linked interoperable banking software application developed by IDFC Bank. This app is made available on a merchant’s smart-phone. 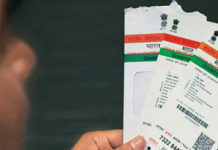 Customers can pay the merchant by selecting the bank’s name and filling only one field on the merchant’s phone — the Aadhaar number. The customer’s fingerprint is the password used to authenticate the transaction.